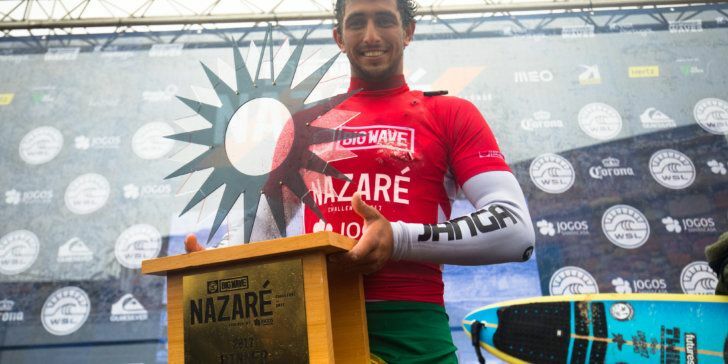 Lucas Chianca (BRA) earned his career-first Big Wave Tour victory at the Nazaré Challenge today. Call: Event complete – Congratulations Lucas Chianca! NAZARÉ, Portugal (Sunday, February 11, 2018) – Lucas “Chumbo” Chianca (BRA) won the World Surf League (WSL) Big Wave Tour (BWT) Nazaré Challenge today after incredible performances at the Praia do Norte (North Beach) big-wave break in Nazaré, Portugal. En route to his Nazaré Challenge victory today, Lucas Chianca (BRA) swept all three of his heats. The six-man Final witnessed reigning BWT Champion Grant “Twiggy” Baker (ZAF), 2017/2018 Puerto Escondido Challenge winner Kai Lenny (HAW), two-time Pe’ahi Challenge winner Billy Kemper (HAW), and up-and-comers Natxo Gonzalez (EUK), Nathan Florence (HAW), and Chianca go all out for the event win. Lenny kicked off the hour-long Final with a low-range score, a 3.83 (out of a possible 10). The next wave of the set saw a split peak between Baker and Chianca. Baker was only able to pick up a 3.50, while Chianca gained control of the heat with an authoritative 7.33. Gonzalez challenged Chianca with two mid-range scores, but the Brazilian punctuated his performance with a solid 6.73. Kemper stayed patient and was able to collect a 4.83 and 4.67 at the end of the heat to surpass Gonzalez, Lenny, Baker, and Florence for second place. 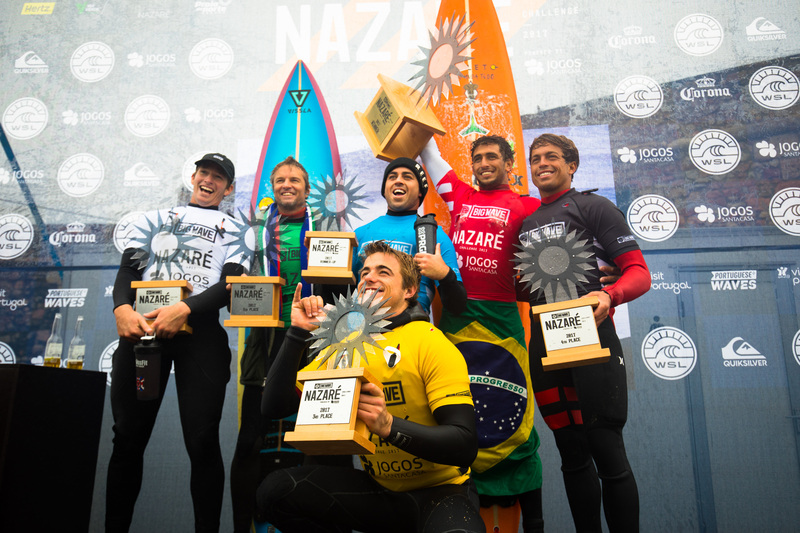 Caption: Clockwise from top left – Nazaré Challenge finalists Nathan Florence (HAW), Grant Baker (ZAF), Billy Kemper (HAW), Lucas Chianca (BRA), Kai Lenny (HAW), and Natxo Gonzalez (EUK) celebrate their success. Kemper’s runner-up finish now puts him at World No. 1 on the Big Wave Tour rankings, topping Lenny by only 2,311 points. His recent success, both on the WSL Qualifying Series (QS) and Big Wave Tour, is a testament to his training and commitment to surfing. Not only does Kemper lead the BWT ranks, he recently won the Sunset Open Qualifying Series to put him in second place on the Hawaii/Tahiti Nui Regional QS rankings. Jamie Mitchell (AUS), 2016/2017 Nazaré Challenge winner, was eliminated in the first Semifinal heat along with yesterday’s Round One standouts Alex Botelho (PRT) and Peter Mel (USA). Mitchell fought his way through the six-man lineup but fell just 1.20 points short of advancing to the Final. The Australian currently sits in 6th on the BWT rankings with only 17 days remaining in the tour window. 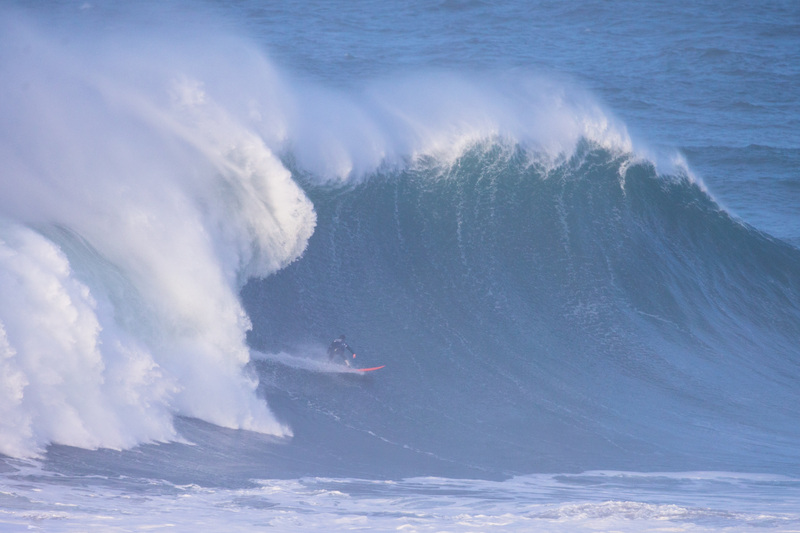 Tom Lowe (GBR) attracted international attention after his pencil-dive wipeout from a monstrous Nazaré wave in 2016 and came into this event ready to perform. The surfer from Cornwall proved to be a serious threat with his Round 1 Heat 4 win but could not find the same rhythm to advance out of the Semifinals. Lowe has become a household name with his Top 10 ranking on the WSL Big Wave Tour this season and will exit in 11th place. Today’s win marked a first for Chianca, but also a last for his mentor, Carlos Burlé (BRA). A fellow Brazilian who pioneered big-wave surfing and rose to become a BWT Champion, Burlé retired last year but competed at this event as an end-of-career victory lap.The fifty-year-old big wave surfer was eliminated yesterday in Round One Heat 2.